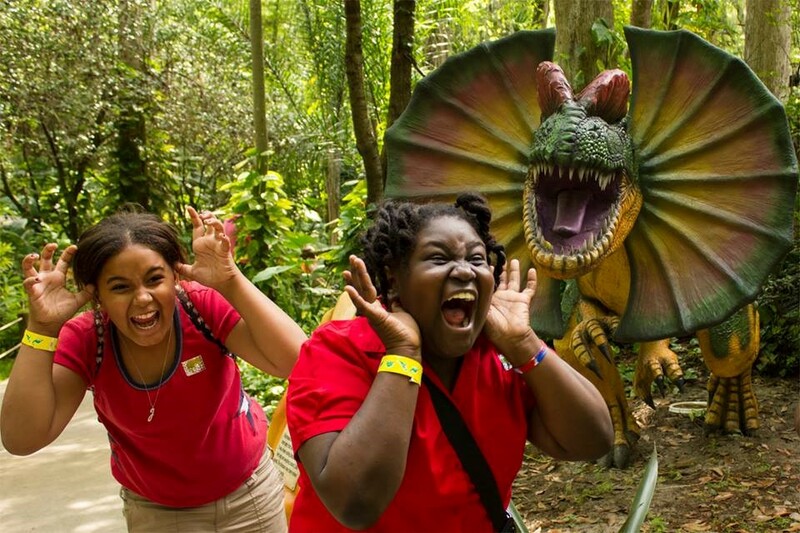 Spanning over 20 acres of space to explore, a walk around Dinosaur World can have you feeling like you stepped into a sci-fi movie. But don’t worry, the 200 life-size statues here won’t be escaping anytime soon. What better way to tour the swamplands than on the back of a giant truck? 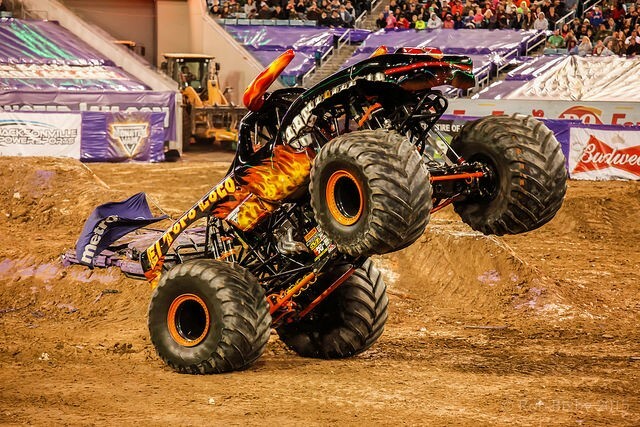 With tours providing great views of gators, poisonous snakes, and snapping turtles, a ride from the guys at Showcase of Citrus in Clermont gets you up close and personal to some dangerous things, minus the risk. 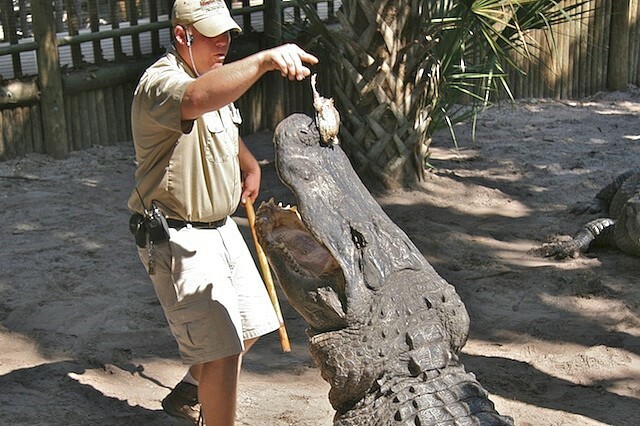 It’s a well-known fact that there are plenty of gators battling for food all around the Sunshine State, but the Everglades Wonder Gardens is one of the only places that lets you feed them hot dogs that dangle from the end of a fishing pole. Nestled in Bonita Springs, this slice of nature provides a much more intimate experience than its larger competitors. 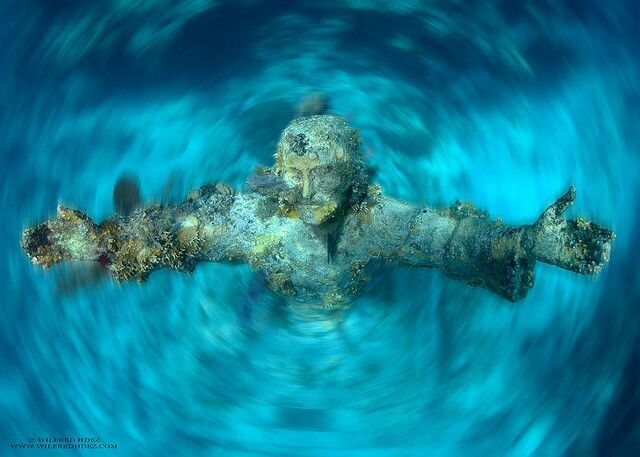 Only 25 feet off the coast of Key Largo, Florida lies a giant 9 ton sunken statue of Jesus Christ with outstretched arms. There’s a reason this statue might look familiar…there are also sunken statues made with the same mold in Italy and Grenada, all made of bronze and roughly 9 feet in height. 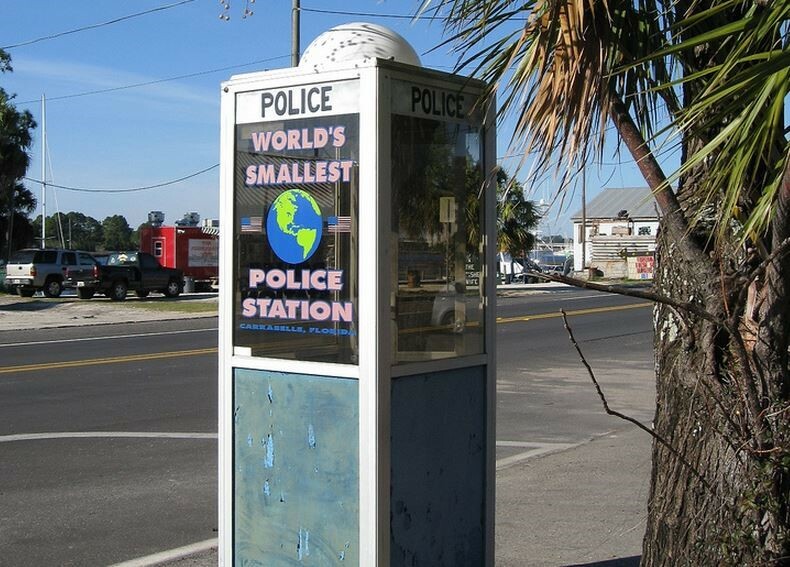 Not much larger than a phone booth, Carrabelle is home to the world’s smallest police station. It once had a dial used for making calls. However this was removed after tourists used this line to make unauthorized long-distance calls home for free. If you’re a big fan of baseball, Schrader’s Little Cooperstown exhibit in the St. Petersburg Museum of History is a must see. Housing over 4,800 autographed balls, you can see signatures from all the greats like Babe Ruth, Jackie Robinson, and Joe DiMaggio, as well as balls signed by famous people like Elvis and historical figures like Fidel Castro. Sprawling over 12,000 square feet, Solomon’s Castle in Ona is certainly an impressive sight to be seen. 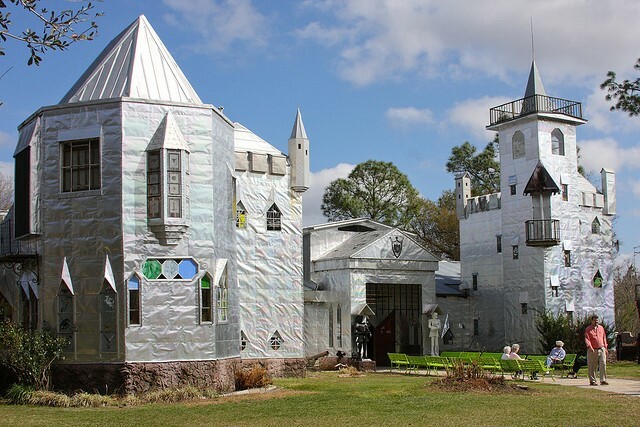 Built by Howard Solomon over many years, the entire exterior is covered with shiny aluminum plating. Just don’t visit during a lightning storm or you might be in for quite the shock. 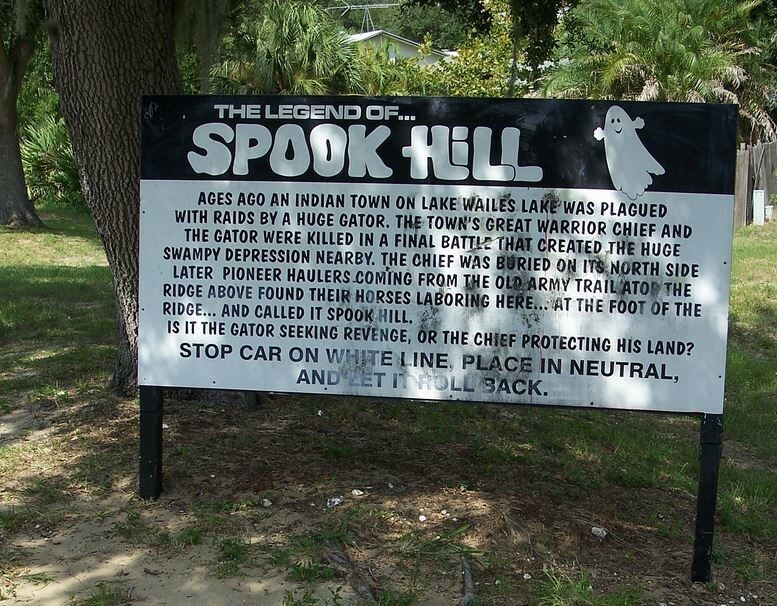 A trip to Spook Hill in Lake Wales is sure to have you leaving baffled. Visitors are instructed to park at a certain spot, take their car out of gear, and then wait while their car “magically” rolls uphill seemingly breaking every law of physics. …That’s definitely something you don’t see every day. 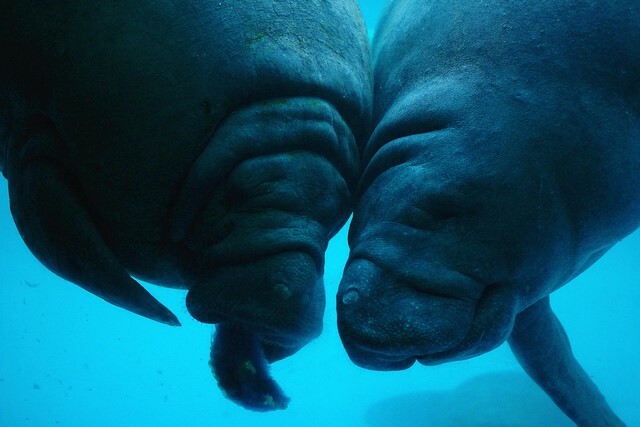 Thanks to the warm air that shoots out of the Big Bend Power Station, a group of manatees call the Apollo Beach area their temporary home each year when waters elsewhere cool down. The experience is made even more immersive with a large viewing area that’s perfect for spotting sea cows. 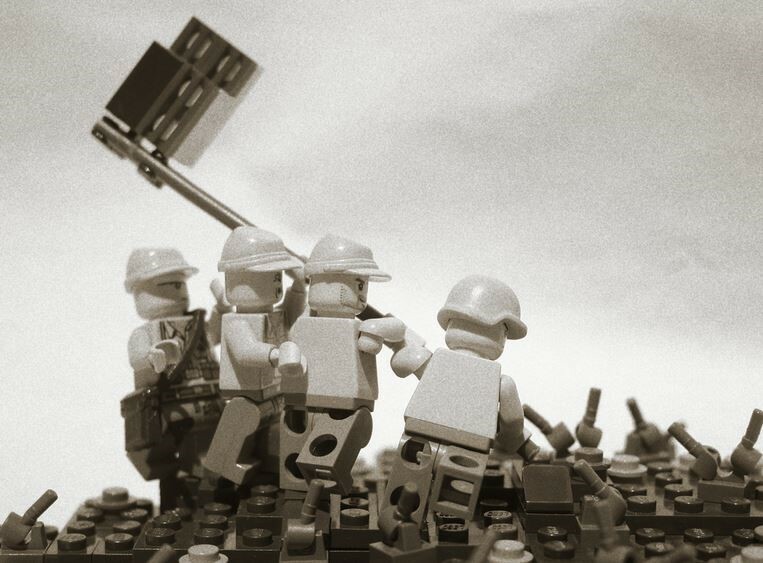 Cast from the same mold used to build the Iwo Jima sculpture in Washington DC, this replica of the famous American memorial is a great place to pay tribute to fallen soldiers of our past. 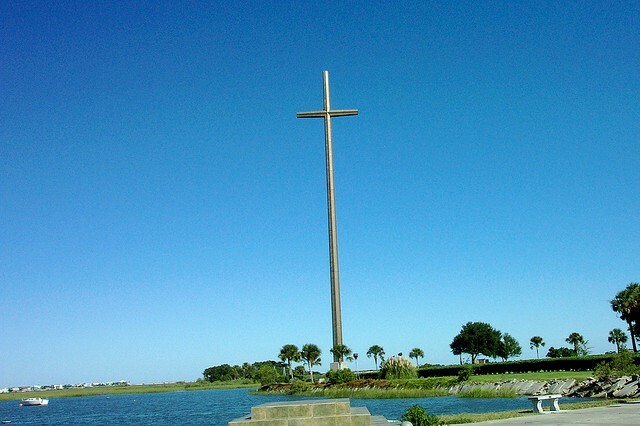 Towering at a massive 208 feet tall, this cross marks the spot where the first permanent cross of Christianity was placed in the mid-1500s. It makes for a great photo op if you’re lucky enough to fit the whole thing in one shot. Slightly disturbing and extremely interesting, the Wolf’s Museum Of Mystery is a one of a kind gallery in St. Augustine sure to send chills down your spine. 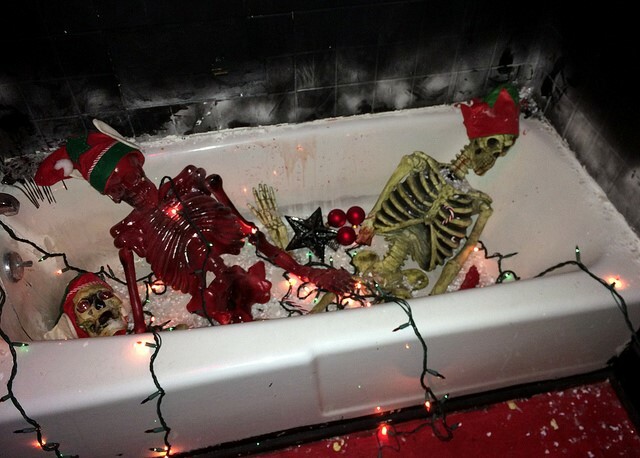 A few examples of what they’ve got include the Lizzie Borden boudoir, a slaughterhouse kitchen, and an exorcist bathroom. Over 200 feet from nose to toe, the tiny town of Christmas is home to one of the most unique buildings in the country. This alligator shaped building isn’t just for show either — it’s put to great use housing a gift shop, ticket counter and a few offices at the Jungle Adventures Floridian animal park. 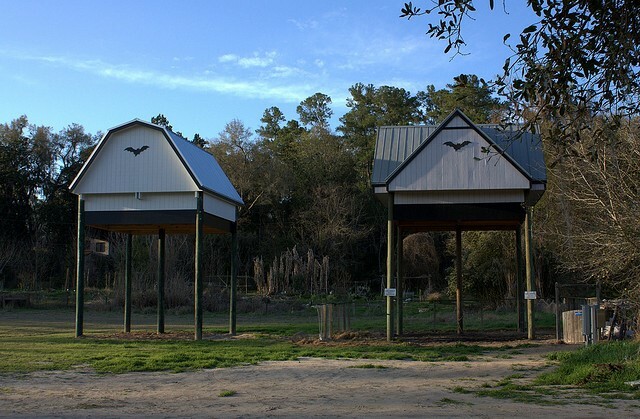 Operated by the University of Florida, the two giant bat barns here are the largest man-made bat houses in the world. If you’re looking for a show, these tiny critters tend to head out for a night of mischief in a large group roughly 15 minutes after the sunset. A one-of-a-kind museum, the Presidents Hall Of Fame in Clermont has elaborate displays for all 44 presidents, as well as plenty of other artifacts commemorating the position itself. 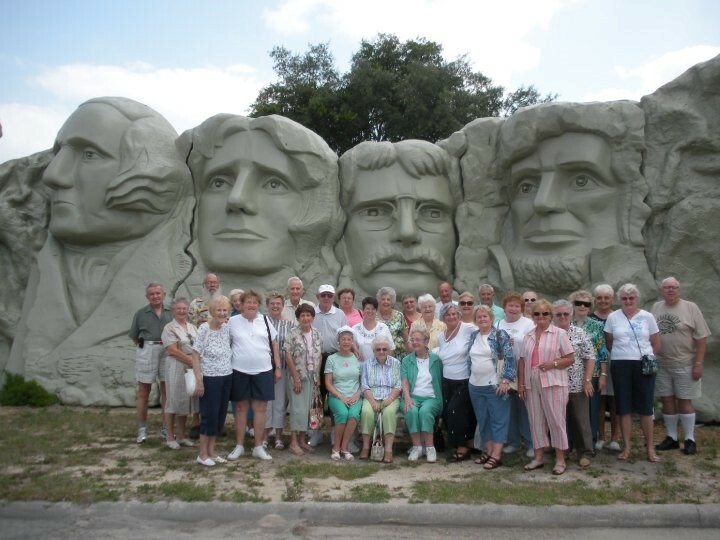 You’ll never feel more patriotic than after taking a trip here. 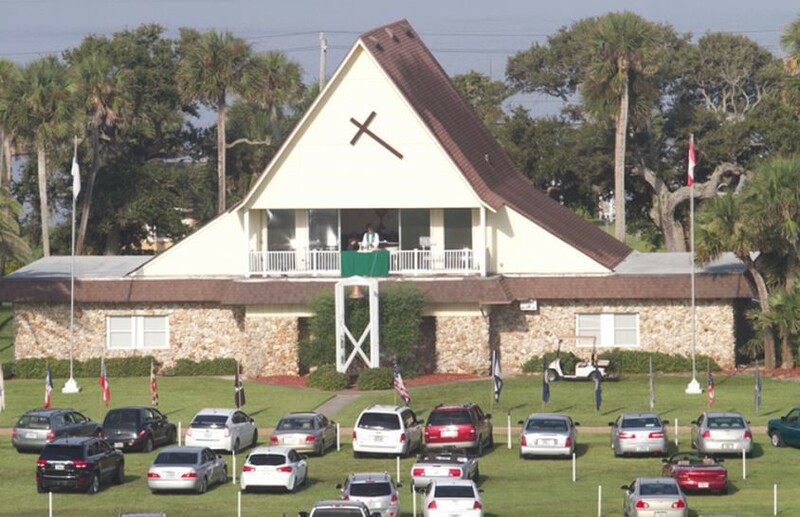 Church made more convenient, the Daytona Beach Drive-In Christian Church welcomes visitors to simply sit in their parked car on the lawn while listening to a Sunday sermon. If you want to stop by to check it out for yourself, their services are at 8:30am and 10am on Sunday every week. Performing routines underwater at eyelevel with patrons enjoying their food and drinks inside, the mermaids at the Wreck Bar in Fort Lauderdale make this one of the most unique must-try bars in the country. Keeping people happy since the 50s, don’t miss the live shows every Friday and Saturday night at 6:30. 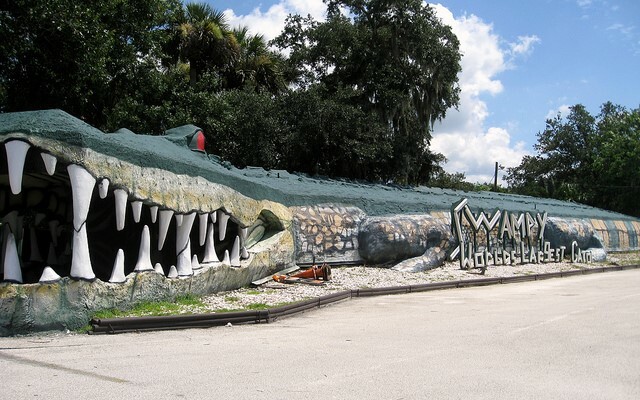 If you need to practice your short game, there’s nowhere more nostalgic to do it than Fort Walton Beach’s Goofy Golf. 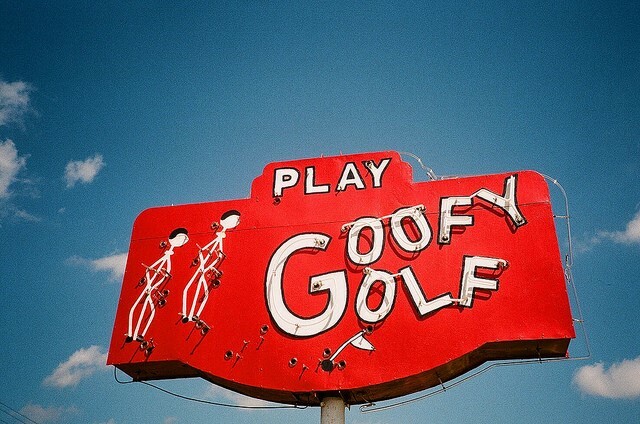 The oldest goofy golf course in America, a trip here is a real blast from the past. 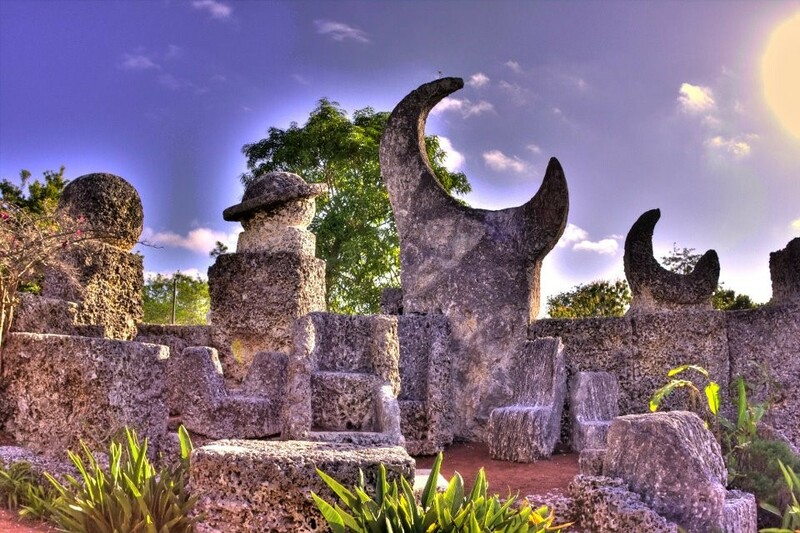 Consisting of giant coral sculptures carved by a single man from 1923 to 1951, the Coral Castle Museum in Miami is quite the artistic accomplishment. One of the most impressive features here is a 9-ton carved gate that can open with the push of a single finger. 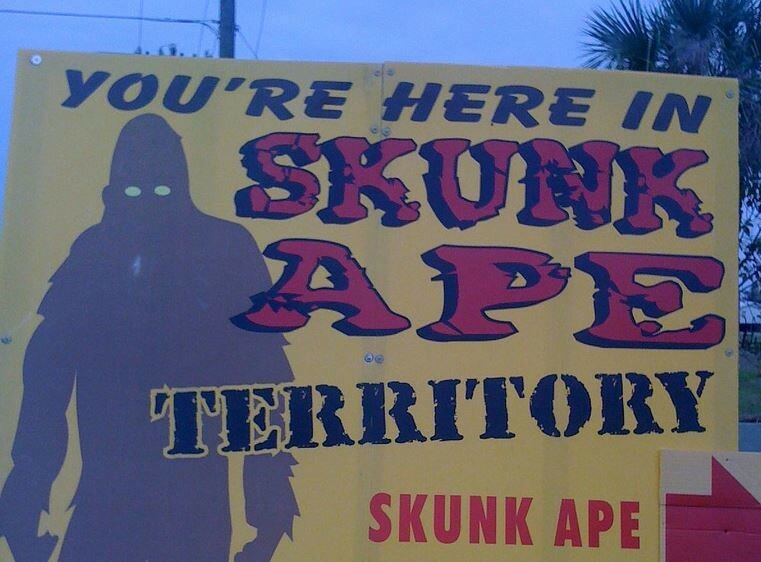 The concept of “Bigfoot” has fascinated Americans for decades and there’s no better place to do a little research for yourself than at the Skankape Headquarters in Ochopee. Offering adventure tours allowing you to hunt this 7 feet tall, 400 pound mysterious beast, you never know what you’ll find in the everglades. 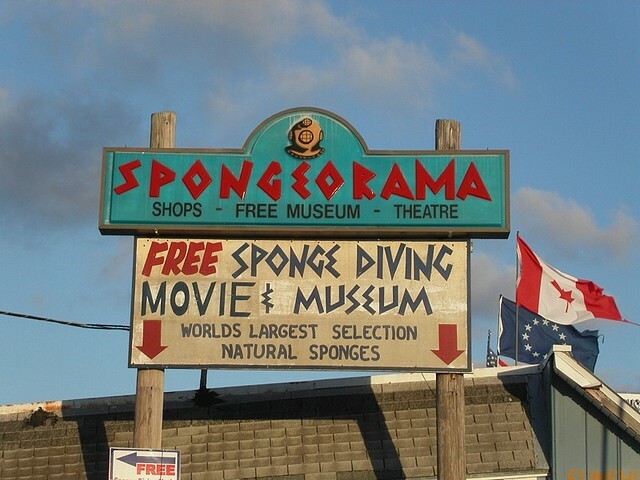 Boasting the world’s largest selection of natural sea sponges, the Spongeorama Sponge Factory in Tarpon Springs is worth the visit even if you’re not planning on making a purchase. There’s plenty of stuff to learn and see here, ensuring that you’ll be able to impress all of your friends with fun facts next time the topic of sponges happens to pop up in conversation. 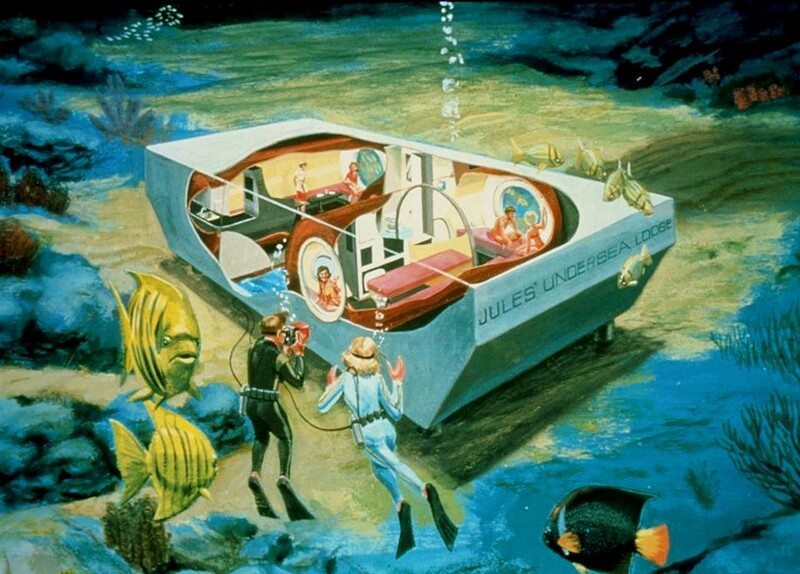 One of the most unique places to spend the night in the entire world, Jules’ Undersea Lodge gives visitors the perfect aquatic vacation. Not only does this hotspot offer guests an underwater stay, it’s located in a lagoon that’s perfect for learning to SCUBA dive. It’s no surprise that celebrities like rock legend Steven Tyler and actor Tim Allen have stopped through here. 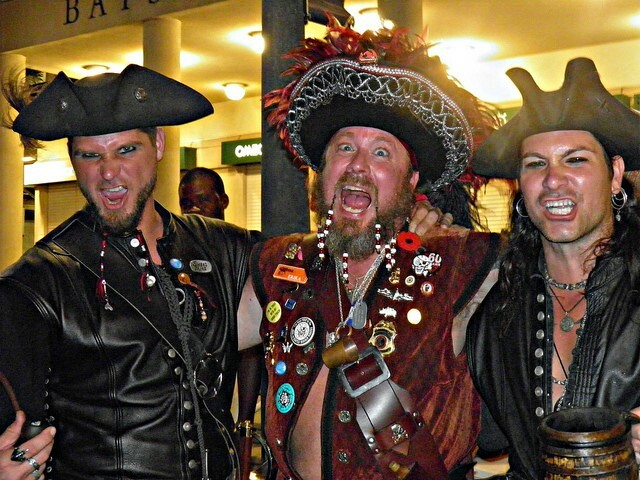 Everyone has worn a pirate costume on Halloween at some point in their life. If you want a chance to see the real thing instead, the Pirate Museum in St. Augustine should be a planned stop on your next trip through this city. With tons of pistols, swords, and clothing, this museum also houses the world’s only verified pirate treasure chest. 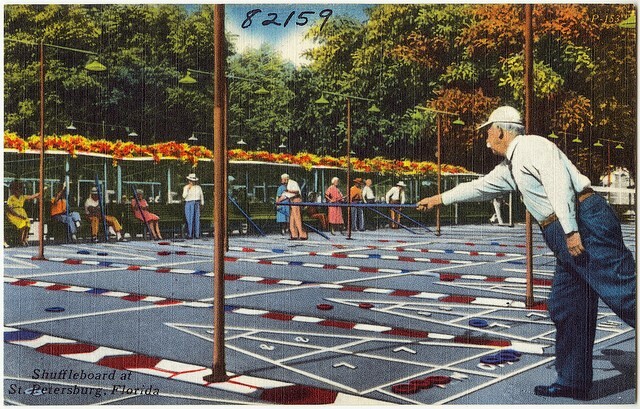 Going strong for over 90 years, the Mirror Lake Shuffleboard Club in St. Petersburg is often said to be the largest of its type in the world. Whether you’re a seasoned pro or you’ve never even heard of the sport, this is a great place to slide a few pucks. 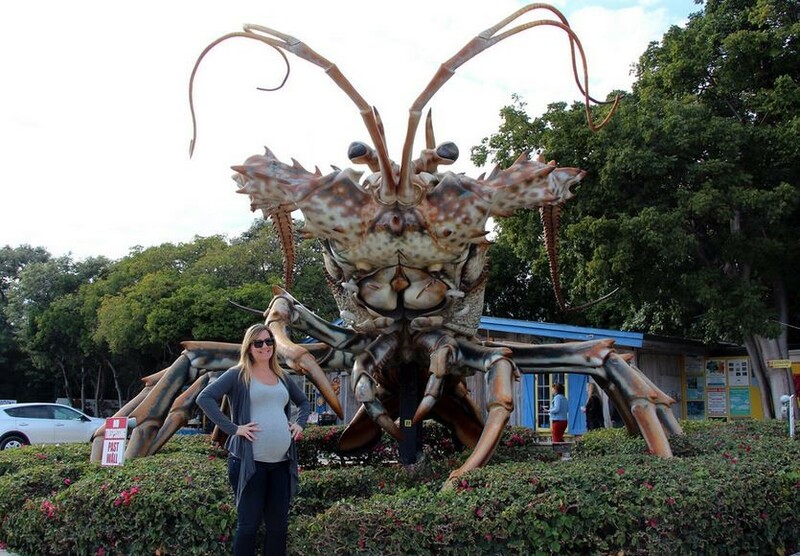 Known around town as Big Betsy, this sculpture holds the title for the “World’s Largest Lobster.” It’s so big that it took artist Richard Blaze 5 years to build. Grab a quick picture, but make sure you watch out for those giant claws.